Shoreline Oil Spill Remediation with a Vegetable Oil-based BioSolvent. 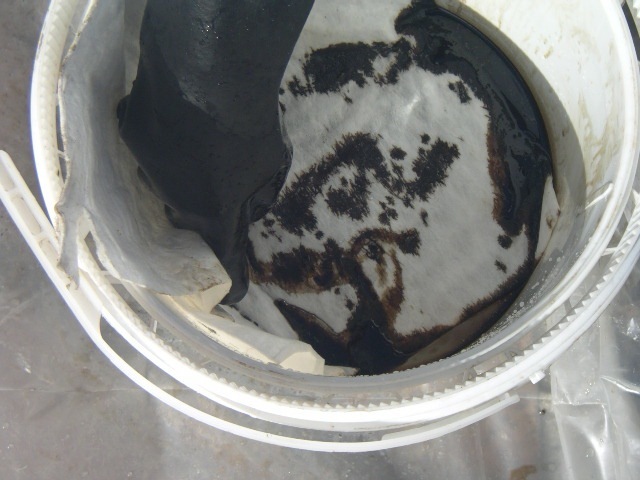 A novel shoreline oil spill cleanup approach has been developed by CytoCulture to dissolve and extract weathered crude oil off shoreline substrates using a relatively non-toxic BioSolvent formulation containing methyl esters derived from vegetable oil. The BioSolvent contains no petroleum products or surfactant, but relies on its inherent solvent properties to extract petroleum hydrocarbons from beaches and shoreline surfaces. The BioSolvent is immiscible with water and very buoyant (specific gravity = 0.87), facilitating the recovery of the floating mixture of BioSolvent and extracted oil, with conventional boom, skimmer, and absorbent technologies. Unlike other shoreline cleaners containing surfactant, the methyl ester-based CytoSol BioSolvent has been formulated to minimize the partitioning of petroleum (oil) fractions into the water column. 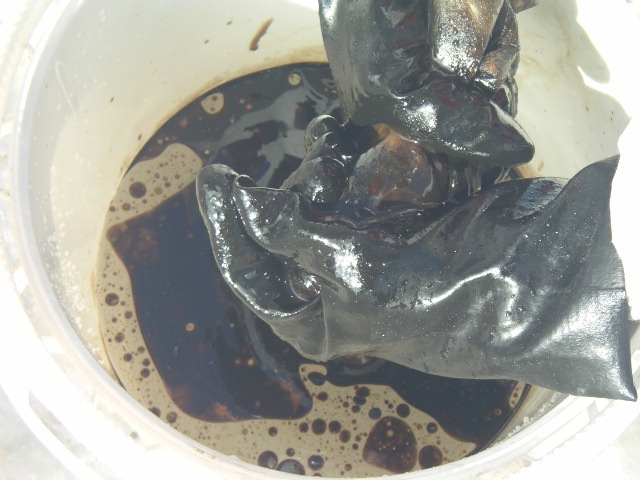 In contrast, other products containing surfactant allow spilled oil to be dispersed into the water column. The hydrophobic (water-fearing) BioSolvent maximizes the consolidation of the spilled oil into a floating phase for rapid recovery. Crude oil extraction efficiencies range from 50% to >90% in laboratory studies. The soil box studies involved Alaskan North Slope crude oil spill simulations on different beach sediments, ranging from fine sand to coarse gravel collected at Prince Williams Sound. These bench studies employed single applications of BioSolvent to various heavily oiled sediments followed by passive seawater deluges. The BioSolvent has also proven useful in marsh and wetland habitats where conventional cleanup operations (harvesting or in-situ burning) may be more harmful to the sensitive habitat than the spilled oil itself. The CytoSol Process offers a relatively low impact alternative for releasing the trapped oil from the marsh. 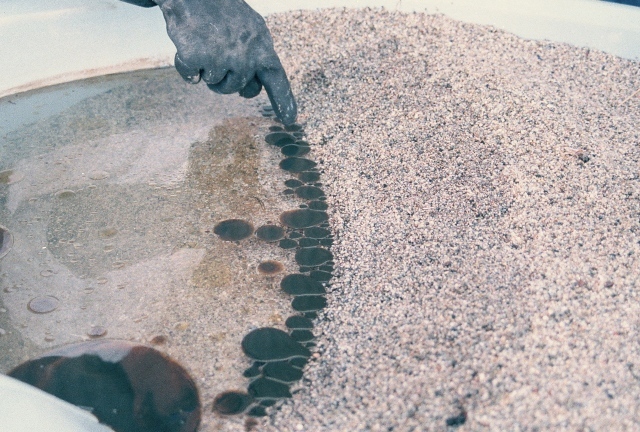 Recovered petroleum/BioSolvent mixtures are suitable for recycling as burner fuel in ships and power plants, as was demonstrated in a small field test in San Juan, Puerto Rico during the January, 1994 fuel oil spill. Following the initial extraction with BioSolvent, an impacted shoreline would be treated with established bioremediation protocols to accelerate the biodegradation of the residual petroleum and BioSolvent left on the beach. In recent field demonstrations supervised by the US EPA and the California Dept. 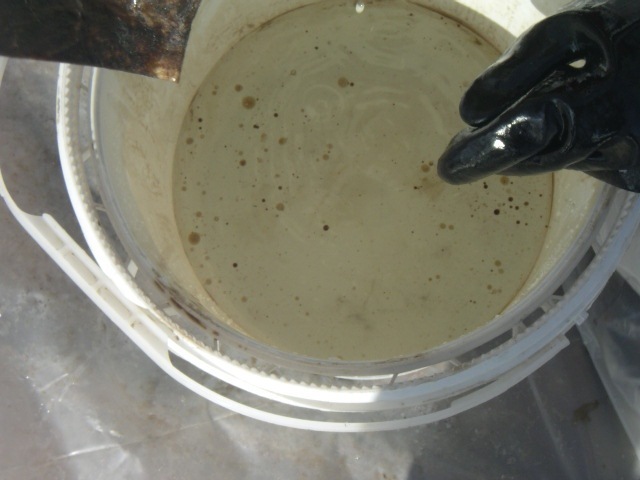 of Fish & Game (Office of Oil Spill Prevention and Response), the CytoSol BioSolvent facilitated the recovery of weathered fuel oil from a gravel beach and the release of trapped oil from sand. The CytoSol BioSolvent has recently been listed by the US EPA on the National Contingency Plan (NCP) Schedule of Products for use at Oil Spills (Please See US EPA Disclaimer below), and licensed by the California Department of Fish and Game (Office of Oil Spill Prevention & Response) as a shoreline cleaning agent. Photo on Left : Oil along Gulf of Mexico shoreline. 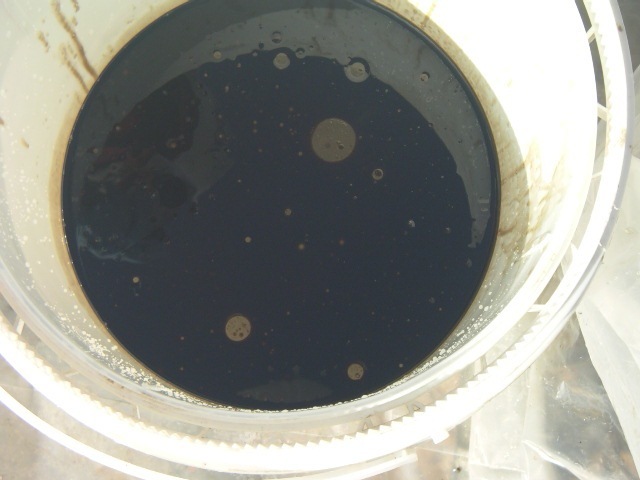 Photo on Right: Demonstration photo shows released Alaskan crude oil dissolved by CytoSol and floating as globules ready for collection by skimmers or wicked by absorbent boom. Copyright (c) 1986-2010 CytoCulture International, Inc. All rights reserved.